Looking for a property in Govindpuram? Have a property in Govindpuram? One of the posh locality. Good connectivity with expressway being 1 km away. Clean environment with all the public facilities available. Govindpuram is one of the best colony made by GDA . Lot of greenry , low rise and independent house make it beautiful . Bus stop connect it very well . It is just 1 km away from NH24 so widening of NH24 will make it more competitive in price . There is G block having 90 sqm plots(75-85 lakh) and C blocks having 120sqm plots . There is CP block inside C Block having plots 60-70 sqm . This CP block is recently carved by GDA and sold it at 35-45 lakh in 2014 . Now plots here are ranging from 40-50 lakh . Govindpuram is a better locality in Ghaziabad in comparison to other localities, there are many international schools and all facilities like gym, spa, play ground, jogging track are available here. Govindpuram is totally covered by many government departments because of that its much secured locality for families which are living in very serene locality. 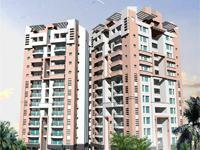 Govindpuram is located near by Bisariapurum, good and well developed area in Ghaziabad U.P. Govindpuram, Ghaziabad is rated 9 out of 10 based on 5 user reviews. Have a good knowledge of Govindpuram? Share it and become a Locality expert. 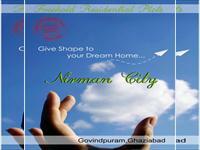 Residential plots in Govidpuram, Ghaziabad. Nirman City Project spreads over 5 Acres in the near vicinity to Ghaziabad city offers residential apartments in affordable prices. Gaur Homes Elegante situated at Govindpuram, Ghaziabad provides a personalized touch to your dream home and enhances your ‘way of life’. Corner 2Bhk Apartment For Sale.